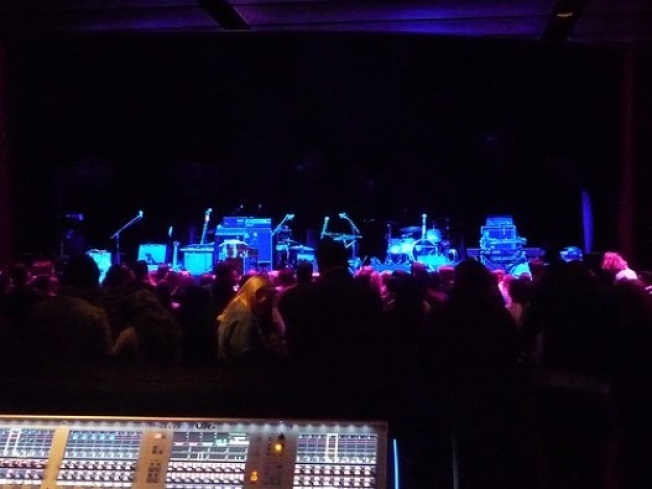 Via Loft LA, a frequent Curbed commenter, the assessment of Club Nokia, which opened last night (with a performance by Beck and Jenny Lewis: "Great venue. You're so close up to the stage. Even the back of the club is a great view. I liked it more in the back with less of a crowd. It was more club like, where you could walk around anywhere, although it was hard to smash up to the front. You just have to get there early. Very nice bar area in the back with changing LED lights. I thought the sound was great, but when I left I saw some crazy lady complaining about her seats and the sound wanting her money back. I didn't get a chance to go upstairs to the real seats, but it looked like a great view." More on the show itself via the LA Times.